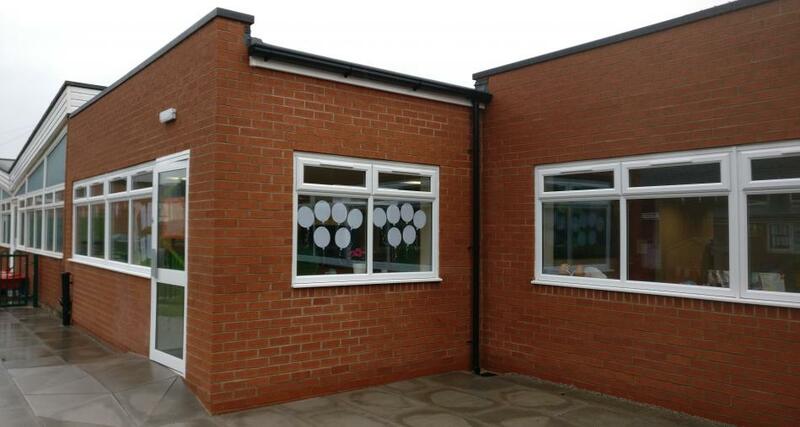 Work on this contract comprised of construction of a new single storey classroom extension, installation of WC’s within an existing store and creation of a new ‘SEN’ room within an existing classroom. Working to a strict ten week programme, the contract posed an additional challenge of modifying the original plans to extend the proposed school extension by an additional 50% within the original contracted time period. Starting within 2 weeks of the contract award it was imperative all labour and materials orders were confirmed and in place. Rigid supervision and additional resources allowed us to complete the classroom extension, on time, and on budget to the delight of our Client. Our company mascot ‘Johnno’ also helped out during the children’s sports day and acted as judicator for the school colouring competition.